A big hello to all our new friends in Germany! 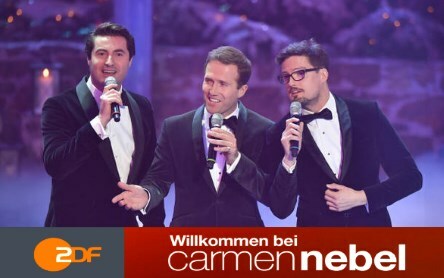 What a great way to finish 2017, performing on the Carmen Nebel TV show on channel 2DF this week. We are super excited to be returning to perform for Carmen for Easter 2018 too. Our special Christmas album is now officially available in Germany!